Get notified when Paul McCartney tickets are available! Sir Paul McCartney is an English multi-instrumentalist, singer/songwriter and composer. Alongside his band mates Ringo Starr, George Harrison, and John Lennon, McCartney garnered international fame with rock band the Beatles, perhaps the most influential group in pop history. 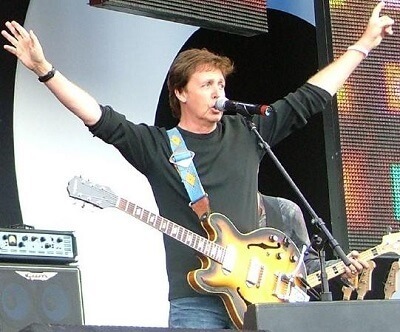 After the Beatles, Paul started Paul McCartney and the Wings from 1970-1981. Today, Paul McCartney has his own catalogue of songs as a solo performer. His genre reaches between both classical styles and electronica. Still touring today, the legendary Paul McCartney can be seen performing his solo act in a city local to you by purchasing your Paul McCartney tickets today!